Driving Tuition, West Malling, Kent. Beginners to advanced. Book your driving lessons with Jim Germaney, independent qualified driving instructor. Driving lessons for all ages and all abilities, from beginner (learner drivers) and refresher courses to more advanced driving tuition. Jim will help you to gain confidence whilst improving your driving skills, as you learn to drive in a friendly relaxed atmosphere. Feel comfortable as you learn to drive a car with an experienced Approved Driving Instructor. Patience is a virtue: Jim provides tuition for nervous learners and ‘rusty’ drivers in a calm, friendly atmosphere. Feel reassured as you practice with a patient driving instructor in a dual controlled Ford Fiesta with manual gears. Jim qualified as a Approved Driving Instructor (ADI) with BSM (British School of Motoring). After teaching for BSM in the Maidstone area Jim moved on to give driving tuition to military personnel in the Camberley area. Over two years of valuable experience in the Military sector, teaching intensive driving tuition to Soldiers and consistently achieving top level results, Jim returned to teaching driving in Kent with the AA. Making the decision to become an independent Driving Instructor in 2013 and started his own very successful driving school, Drive Stratfords, based in Maidstone. 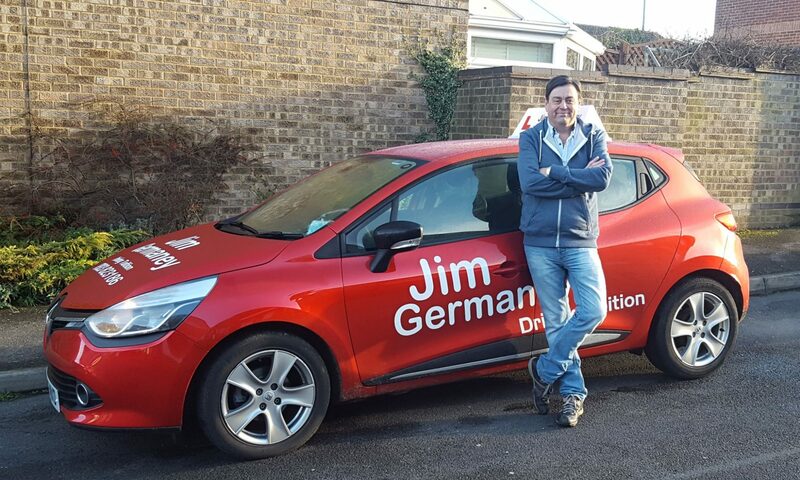 Moving to Leybourne, in 2017 Jim replaced the Drive Stratford name with Jim Germaney Driving Tuition, He now covers West Malling, East Malling, Kings Hill, Leybourne, Snodland, Larkfield, Aylesford and surrounding areas, using Maidstone and Sevenoaks Test Centres. Individually tailored driving lessons are taught to all ages and ability levels with an emphasis on enjoying the motoring experience.